The resignation of the head of the International Monetary Fund sets the stage for a tussle between developing countries with emerging markets and the established European economies, according to Joshua Aizenman, an international economics expert at UC Santa Cruz. Aizenman, professor and director of the economics Ph.D. program at UCSC, expects Europe, led by France and Germany, to push for another European to lead the IMF to succeed Dominique Strauss-Kahn who faces sexual assault charges in New York. A leading candidate is Christine Lagarde, France's finance minister. If selected she would be the first woman to lead the international finance group since it was founded in the late 1940s. The IMF monitors the global financial system, watching exchange rates and balancing payments in an effort to ensure a global stability. It helped facilitate the $136 billion bailout last year for Greece and a $32 billion loan to Ireland. In the days before Strauss-Kahn’s arrest, finance ministers working with the IMF were discussing a substantial bailout for cash-strapped Portugal, and another payment to Greece. Traditionally, the head of the IMF has been a European while the head of the World Bank, the IMF's sister organization, has been an American, a "cozy relationship," Aizenman said. Lagarde is the candidate who "may generate the best chance of continuation of the present direction of the IMF," said Aizenman, who has consulted with the international organization. But her selection will also "continue the built-in tensions with emerging markets," he said. "It touches a deeper issue within the IMF," he said, explaining that over the past decade more than half of the world's global economic activity and net savings have come from emerging economies. "Emerging markets are getting greater recognition and more power," he said. "Now they hope for an opportunity to assert a greater role." Ironically, it was Strauss-Kahn's selection as IMF managing director in 2007 that has opened the organization to fresh thinking and new ideas that include giving developing countries more clout, Aizenman said. Strauss-Kahn, the former French finance minister, presided over a turnaround of the IMF in the four years he served as managing director after initially laying off 400 staffers. The economic crisis of 2008-2009 both hastened the relative decline of the United States and Europe and raised the profile of emerging markets such as Brazil, Russia, India, and China, said Aizenman, who leaves for China Friday to give a keynote address and talk with local economists. "It's fair to say that winner of the crisis are emerging market and developing countries." Another winner was the IMF itself. 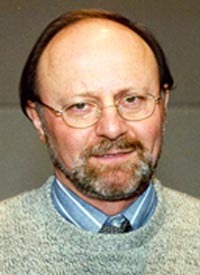 The economic crisis in the U.S. and Europe and its global repercussions made the IMF relevant again, and Strauss-Khan took the initiative to admit mistakes of the past, particularly around heavily criticized actions during the Asian currency crisis in 1997-1998. Strauss-Kahn "generated a new direction for the IMF that departed from its history," Aizenman said. "He understood the importance of having more resources and was very successful in raising them. The beginning of his term, 2007, was the time of declining morale at the IMF, then by the stroke of history the crisis came, and the IMF made a major U-turn." "One of the beneficiaries of the crisis of 2008-2009 is indeed the IMF," Aizenman said. Strauss-Kahn was able to boost expendable funds by more than $500 billion and led negotiations aiming at stabilizing countries during the global crisis. The IMF extended loans supporting adjustment and stabilization packages, facilitating countries to adjust to the losses associated with the crisis. In the end, Aizenman said he expects emerging markets to make a push for one of their own but not a very hard push. One possible compromise candidate is Kemal Dervis, a former Turkish finance minister who helped secure a multibillion-dollar IMF loan to rescue Turkey in 2001. Turkey is geographically close to Europe and has had aspirations to join the EU [European Union], he said.